A Close friend of mine was a long time charter Captain and kept telling me to get my Coast Guard License. I am now in my tenth year. He said that he noticed me out fishing a lot on the lake and said I seemed to always be pulling in monsters. He suggested I get my Coast Guard Captain’s license and help others catch the same kinds of fish, so I did. I have a Master License rates for 25 tons which is a little more then I need, but most Captains just get what’s called a six pack license. One unexpected thing I have found from becoming a Charter Captain is all the friends I have made, from literally all across the country. The friends I have met all started out as clients and became friends. I can say that I never stop learning and every day brings new challenges and tactics. I enjoy creating custom fishing adventures for each client. Because each client is an individual I like to take the time to plan a trip that is tailored to the kinds of fish they want to catch and the way they like to fish. Sparky’s Charter boat is a roomy 19 ft Crestliner Tournament Pro, powered by a Yamaha 150hp. The boat is fully equipped with top of the line tackle and gear. We are USSG inspected and fully insured. The charters include all the bait and tackle for the day as well as fish cleaning and packaging. All of this makes for great day fishing on Lake Ontario, Lake Erie or the Niagara River. 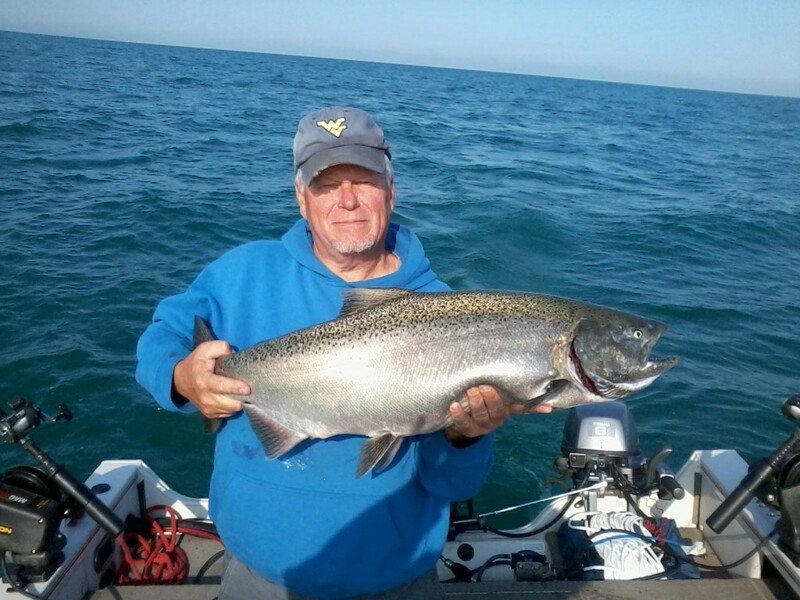 It’s also why we are known as the premiere Lake Ontario Fishing Charter as well as one of the most sought after Lake Erie Charter Fishing Service. We’re also charter Lake Erie Smallmouth and Walleye Guides.